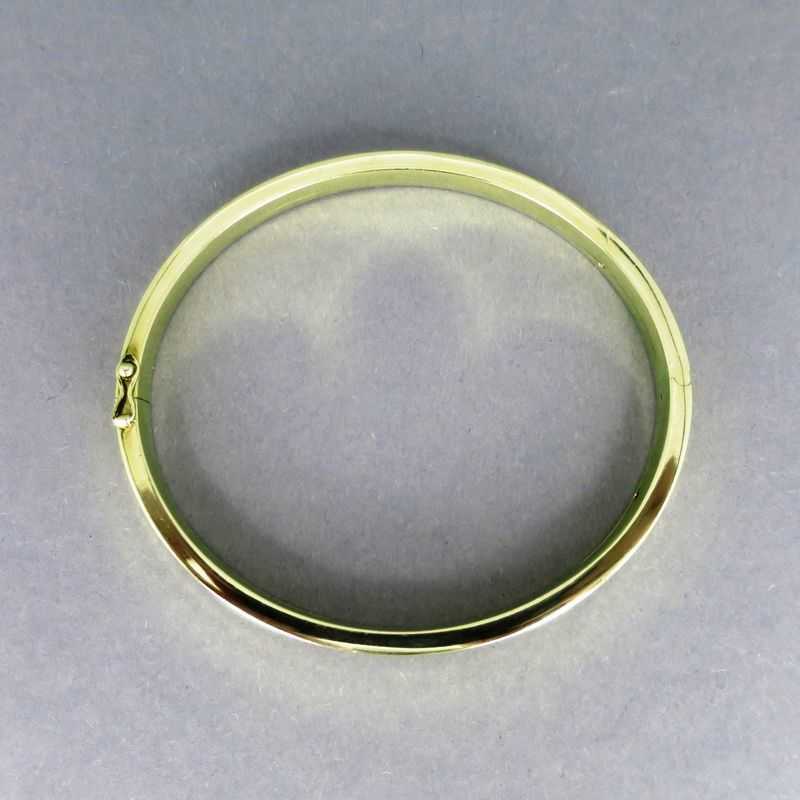 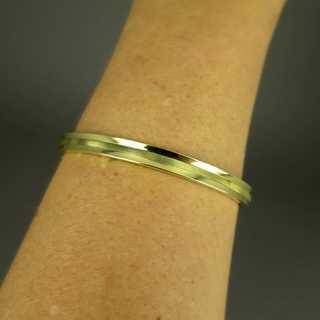 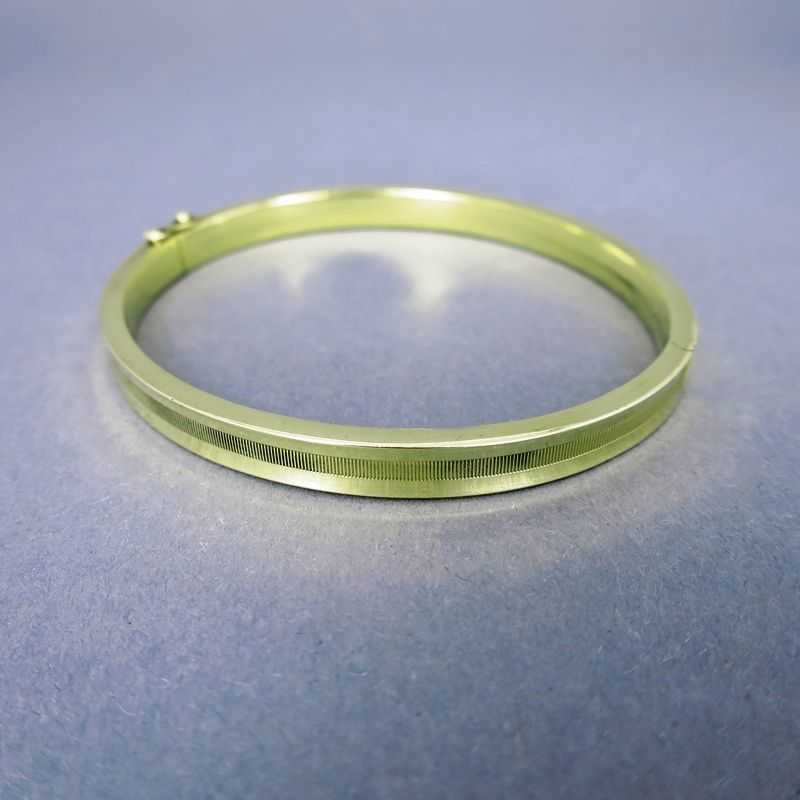 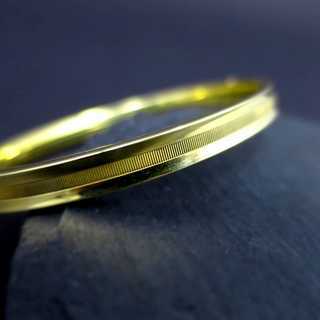 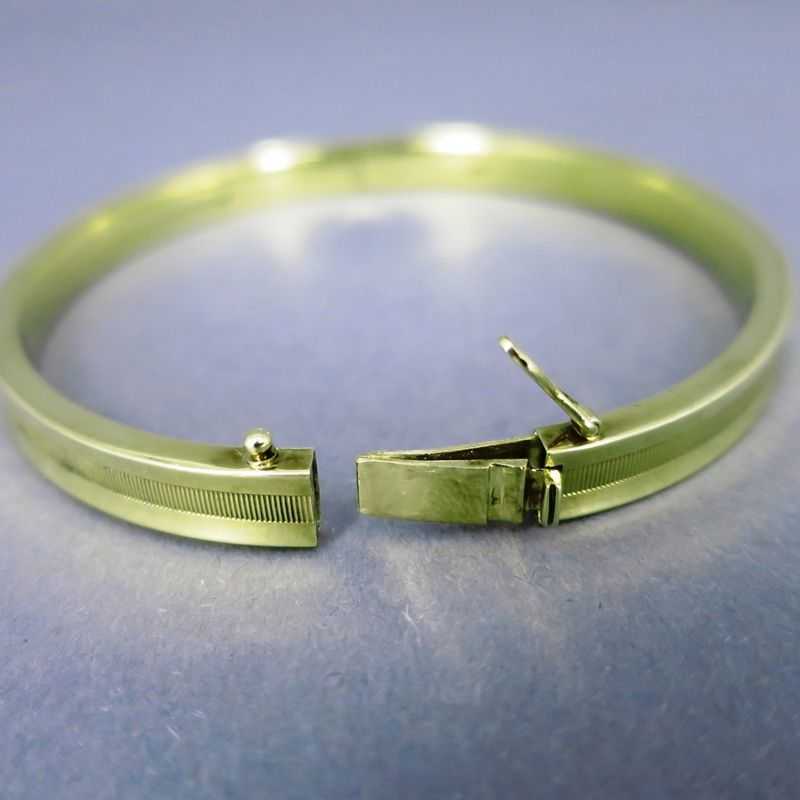 Elegant bangle from the early 20th century. Clear geometrical shape, decorated with a fluted, deepened band. 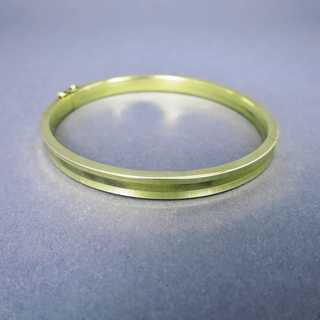 Stackable closure with safety clasp. 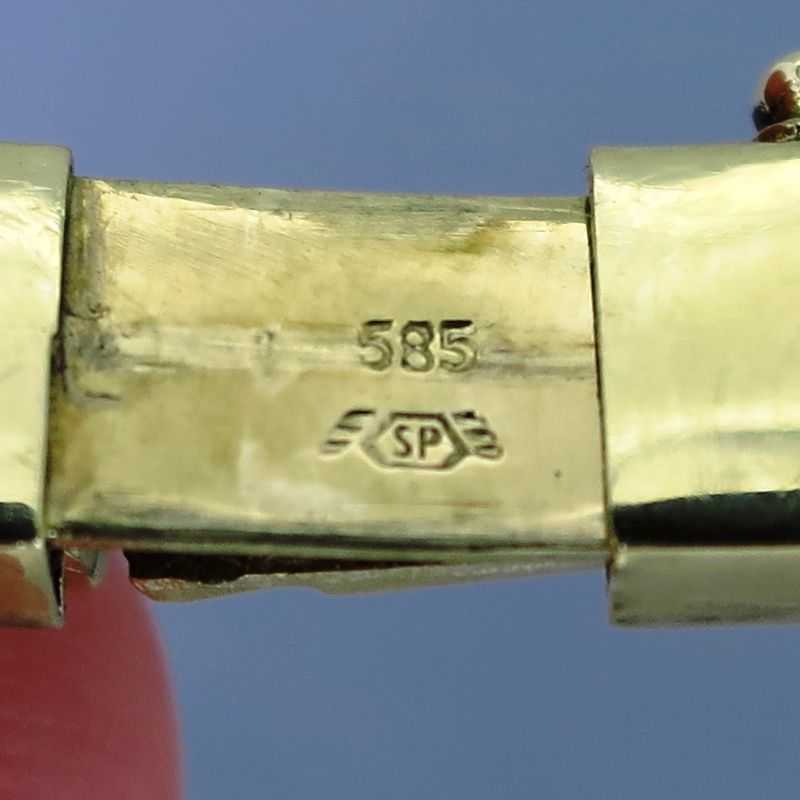 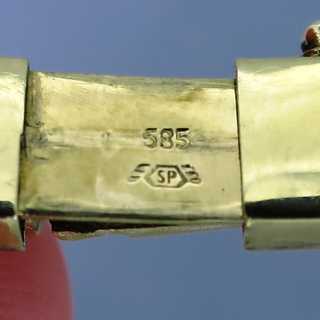 Marked, made in the famous jewelry manufactory of Friedrich Speidel in Pforzheim/Germany, about 1920.